The shop which John Ross worked at which was previously worked by a Mr. Ebeling. 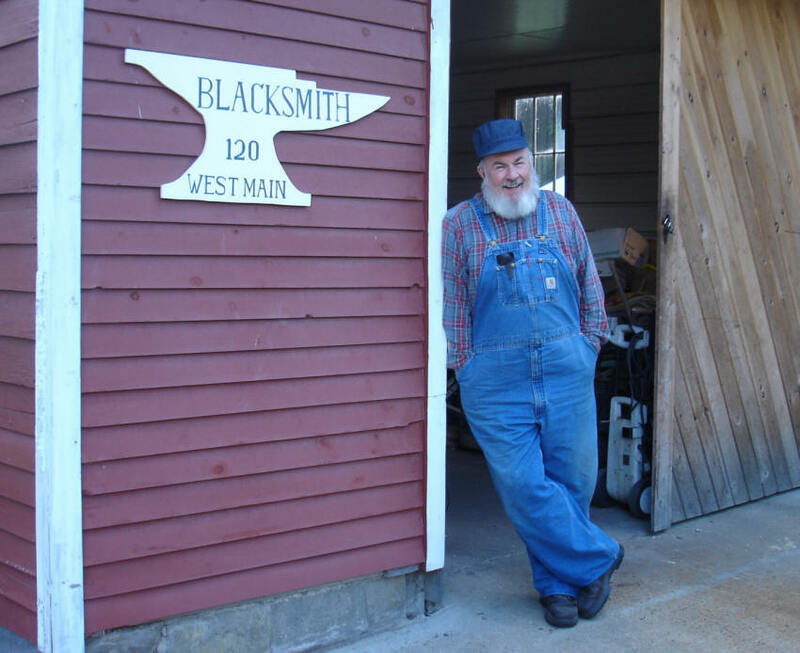 Hopefully, more information will be coming forth on these two Blacksmiths and we can get biographies of them. 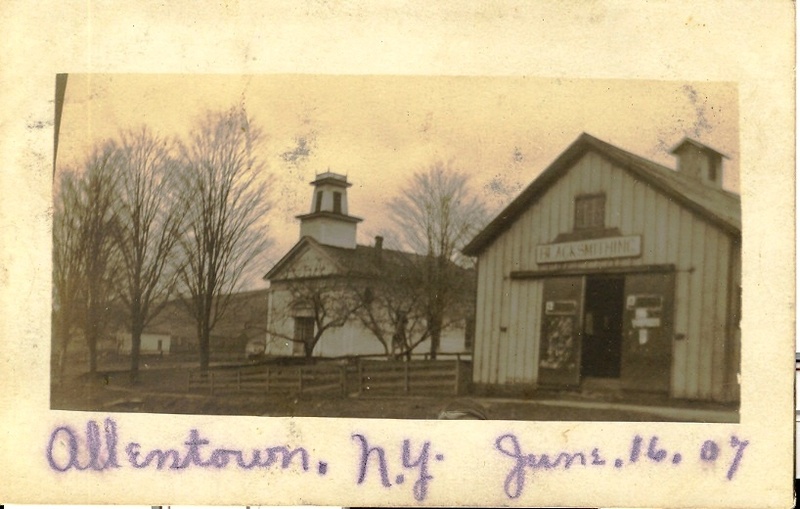 The building in the center of this picture was the blacksmith shop. It has what appears to be "H.B. Horn" on the building and that may have been another blacksmith. 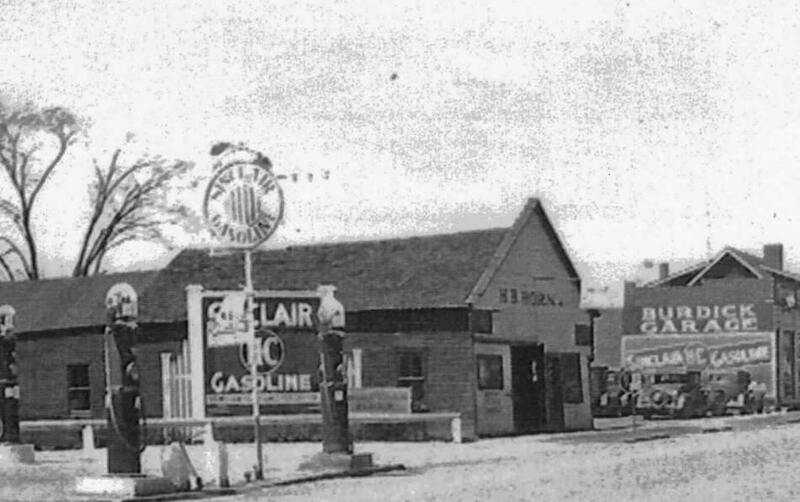 I believe this picture was taken after 1933 since the gasoline sold at the service station out of picture to the left was not Sinclair until after 1933 when the station was sold to Cities Service chain. It is probably the end of the 1930's.